More and More people are beginning to realise there are some important things we need to understand but few ever find what they are. Let me whittle this broad statement down to some basic issues. First of all, the important universe is not somewhere out there amongst the stars, it is not the social and natural environment around us, it is right here inside you, me and all of us. Four thousand years ago the great Greek philosophers understood this and therefore the most important thing before trying to understand this world and the universe, first we have to understand ourselves. Today 2018 and onwards, this is more important than it has ever been before. WHY? Because it is not just that the natural world is changing faster and more dramatically than in living memory, our social work and self survival worlds are also changing at break neck speed. WHY? The desk top computer was the game changer. In a few hours or days, maybe months, new technological and scientific developments come to life that seventy years ago took a life time or even two or three life times of study and research to create. Up to perhaps twenty years ago one could say with a degree of certainty that when we strip away the exterior coverings of variations, there was very little that had not been thought of or developed before. The fundamental game changer of personal and mega computers means in this day and age there are thousands of completely new substances and ideas that are truly new. From metals and plastics to other materials that did not exist ten years ago, scientists have discovered how to manage the intelligence inside these wonders so they reform themselves if they are damaged. They can also change colour spontaneously according to our feelings and emotions. Even this is not new because some animals including us humans, have been doing that for millions of years. Watches that monitor heart rate, exercise level, blood pressure and more are practically old fashioned. Now we have clothes that can do all that as well and there are no batteries because they use the body’s own electrical supply. The paradox is that the more we learn to depend on these miracles of modern science and ingenuity, the more we move away from accessing the greatest ever knowledge and understanding. This is how to get the most perfect performance and guidance out of the intelligence that is in every cell of our bones, brains, organs, glands and bodies. The ancient Greeks understood the importance of this knowledge and how to access it. A few people in the eight billion inhabitants on this planet are beginning to wake up. For the vast majority it will never happen because Big Parma and Big Industry is doing everything they can so that does not happen. They know this intelligence is the only thing they cannot patent. They understand this intelligence can put them out of the business of controlling how we live and how we spend our money on their underperforming, overpriced built-in redundancy products. My work within “MindPower Recognition” is all about understanding how to access the most powerful intelligence available to all of us and use that knowledge in the best way possible. The power of this book is not so much about healing our mistakes, our ideas, our poor performance or our bodies, it is about how to access the intelligence that can change all the unfortunate things that happen in our lives. The contents of this book are based on personal research and development of over fifty years of historical analytical experience. It is never too late to open the door to your own genius and stop being seduced into thinking what everyone else has been programmed to believe and constantly be let down by. One of the greatest false beliefs spread by the ignorance of hearsay, gossip and false beliefs, is that we only grow by learning from our mistakes. Why is it that those who believe this, continue to make the same mistakes in their lives over and over again, while still professing their mantra to be the one and only truth. We make mistakes because we do not learn and we do not know how to access and therefore have no means of listening and following the greatest intelligence of all time available to us. Why do people, entrepreneurs, companies, experts, governments and many others continue to repeat old mistakes? The answer is that there is little of any use to learn from mistakes other than they are dangerous, expensive and extremely destructive to future opportunities and performance. The only constructive learning there has ever been is via deep and broad focused mind power analysis of the HISTORY behind mistakes and all that is connected to them. Anything learnt from the mistakes themselves are the self-generated smoke screens of limiting beliefs that blind us from the truth and the real learning experience. 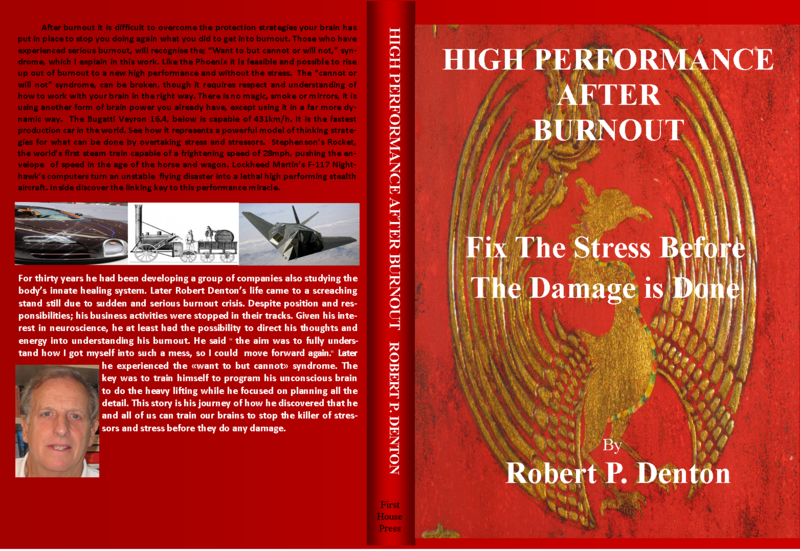 ← What Makes High Performance?